1001lights is a german design lighting retailer specialized in worldwide exports. 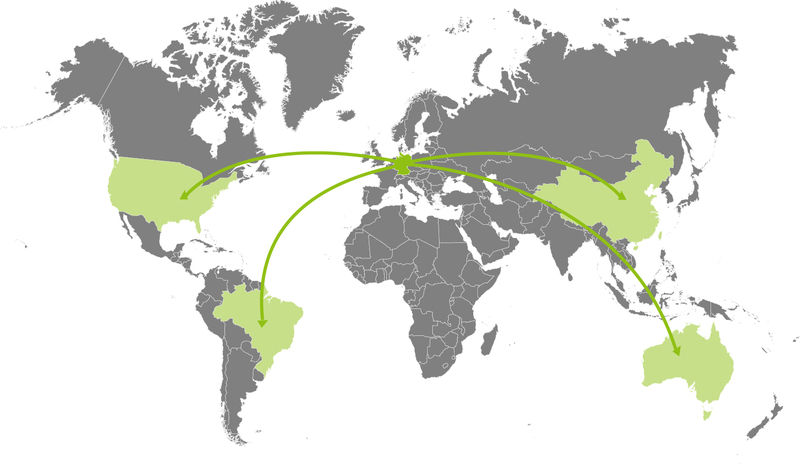 We do ship our goods to almost every country around the world. You can find Individual shipping costs direct at the article in the shop. There is free delivery for orders over 98 € value within Germany. All our selling prices include the VAT of 19% which is currently valid for Germany. You will be informed about the delivery of your goods via email. The postal costs arising from a basic fee, a weight-related charge and possibly forwarding or air freight costs. The arising shipping costs are calculated and displayed individually within the article ordered. The German VAT is not charged for orders delivered to Switzerland, Liechtenstein and Norway. This German VAT is automatically deducted during the process of ordering. The VAT has to be paid in the relevant amount directly to the forwarding agent or to the postman on receipt of the goods. There are no more arising expenses for customs clearance. The German VAT is not charged for orders outside the EU. This German VAT is automatically deducted during the process of ordering. With respect to possible costs for customs clearance the country-specific regulations are applicable. Can`t find an answer to your query?